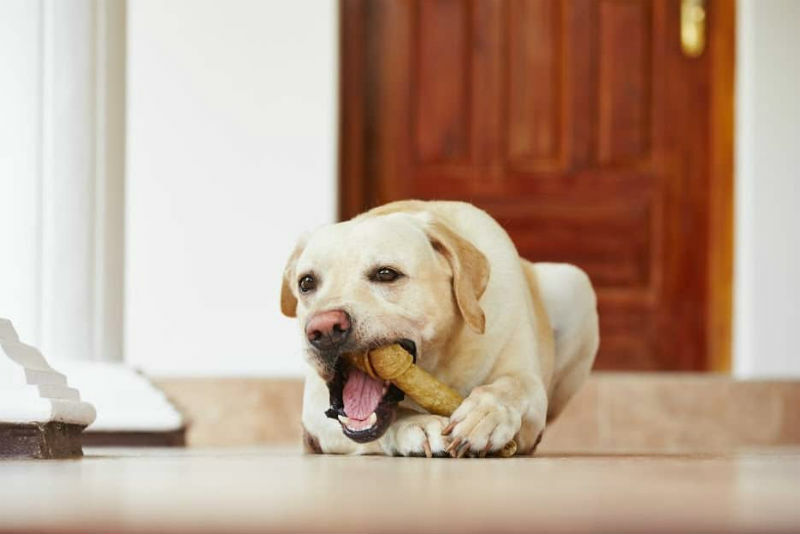 Animal bones are a popular treat amongst dog owners, but at Morinville Veterinary Clinic, we would rather you didn’t give your fur babies bones at all! Bones can fracture and break teeth, they can cause intestinal blockages, stomach upset, and they can get stuck in awkward places. 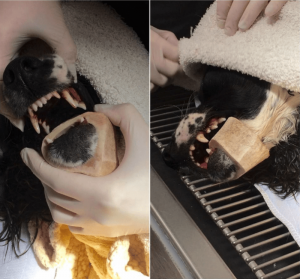 This poor pup had a soup bone stuck around his bottom jaw. Try and try as he might he was not able to remove the bone himself, so Dad rushed him in. A little bit of sedation and lots of lubricant later, the bone was removed and the pooch has made a full recovery. So next time, skip the bones and avoid a vet visit.